How to recover deleted files from SD Card recover storage disk data? Home › How to do card recovery? 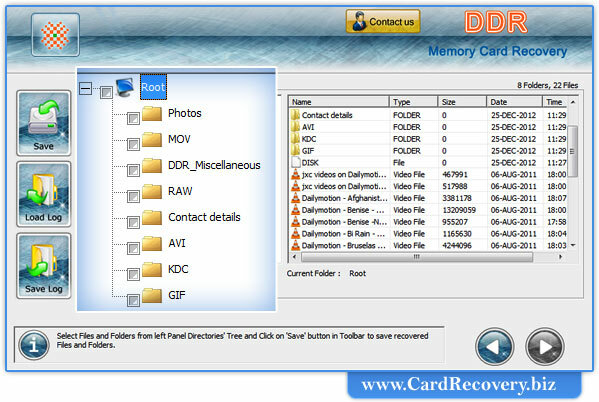 › How to recover deleted files from SD Card? How to recover deleted files from SD Card? In Order to recover deleted files from SD Card, first you should connect your card with PC. Then start recovery process. First select search recovery modes including Basic Search, Deep Search, Photo Search or Signature Search. 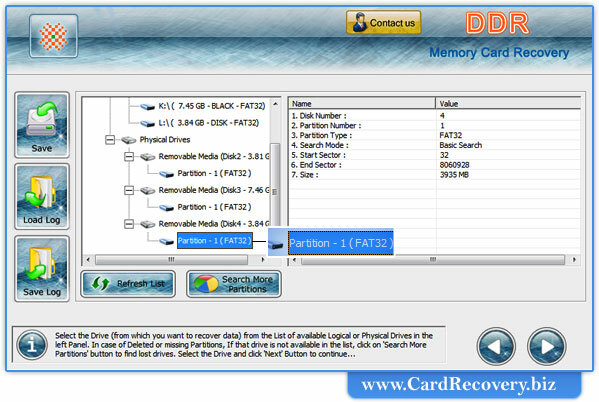 In the page, we will discuss how to recover files from memory card using Deep search recovery mode. 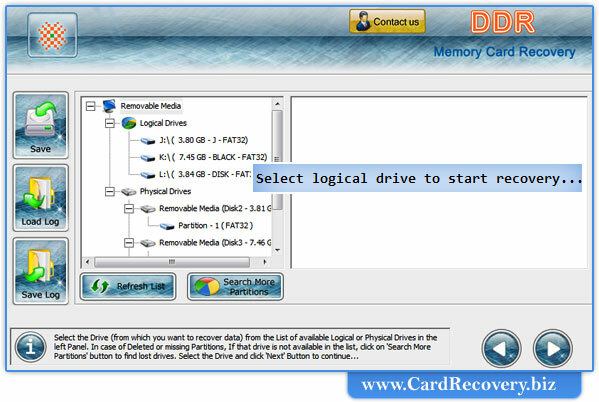 Select disk in the available logical or physical drives from which you want to recover data. If you want to search data “within a specific sector range”, then drag left and right edges of slider to enter sector range value or you can manually enter these value in “Start Sector” or “End Sector”. Select the disk from which you want to recover data, if you want to restore data “Entire Storage of Disk”. Scan result is shown in tree structure. Select the folders from Left Panel Directories Tree and click on "Save" button in Toolbar or right click to save recovered files and folders. Start saving recovered data by clicking on “save” button. Now click on “browse” to select the destination path, where you want to save data. 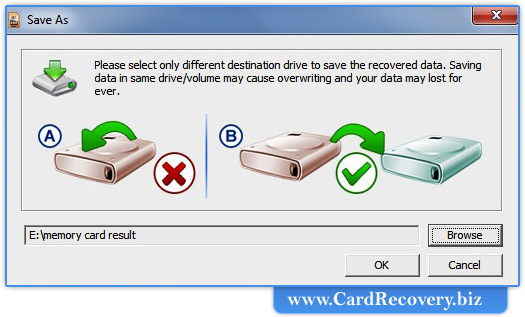 Note: Please select only different destination drive to save the recovered data. Saving data in same drive/volume may cause overwriting and you may lose data for forever.